Cockatoos are distinguished from other parrots by having a crest on the top of the head that can be raised, usually when landing or when excited. In some birds, like the Galah, the crest is barely noticeable and in others like the Sulphur-crested Cockatoo it is the distinguishing feature. Cockatoos also lack the feathers with a light diffracting surface which gives other parrots such bright colours, particularly blues and greens. 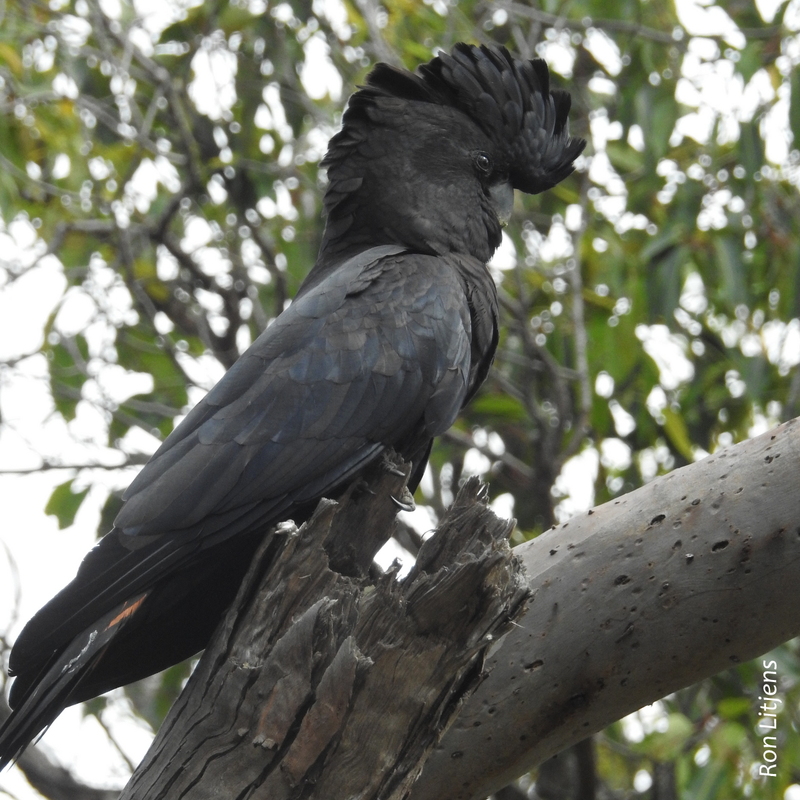 The Black-Cockatoos, of which there are five species, make up the genus Calyptorhynchus, the scientific name being derived from the Greek kalupto meaning ‘covered’ and rhunkhos meaning ‘bill’, i.e. covered bill. It refers not to the crest but the feathers which hide the lower part of the bill. The Yellow-tailed Black-Cockatoo (Calyptorhynchus funereus) pictured above has a moderate sized crest. 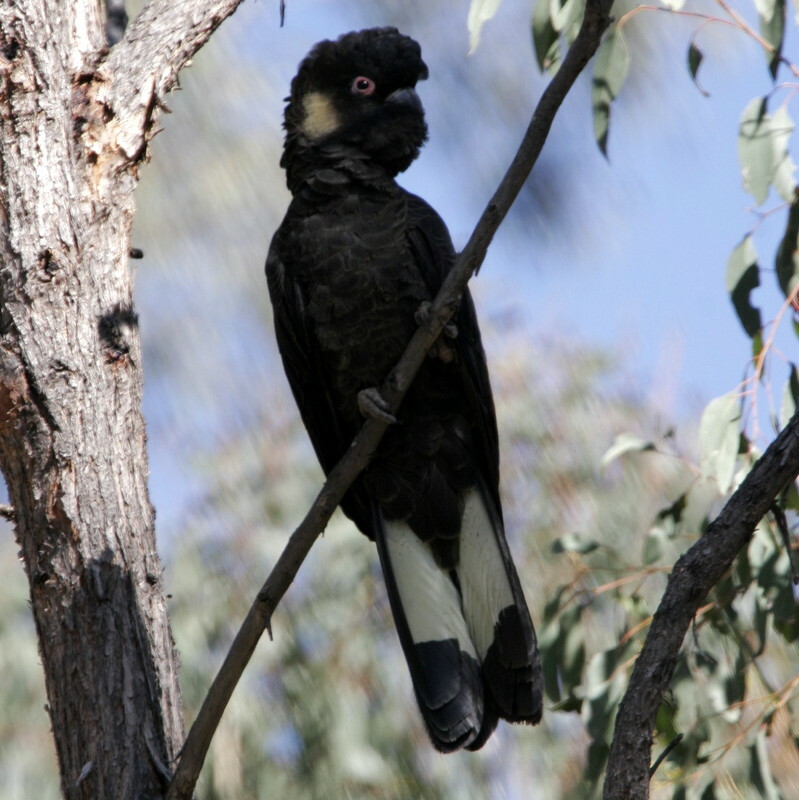 They are distributed along the eastern and south-eastern Australia and are commonly heard in our valley just before rain (click on the call below). A ‘squadron’ of these birds is an impressive sight as they ‘lope’ through the skies. 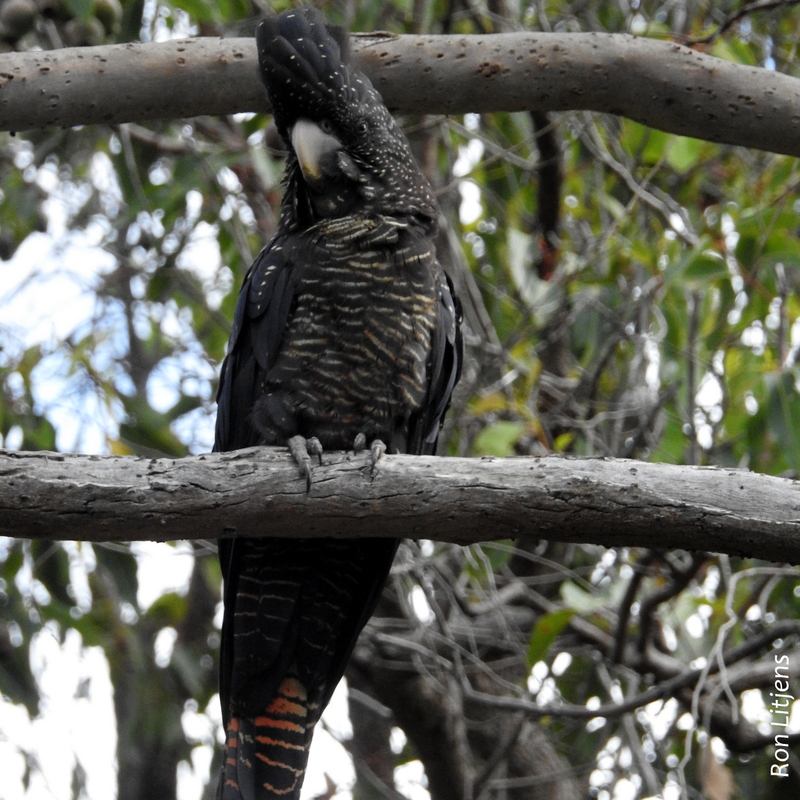 The Red-tailed Black-Cockatoos (Calyptorhynchus banksii) pictured above (male) and right (female) comprise several races distributed throughout Australia. In Victoria they are restricted to the far south-west corner (race graptogyne) where they are considered rare. I came across a pair recently of Red-Tails recently in WA. What impressed me was the size of the crest which can be extended to cover the upper bill as well. What a quiff!